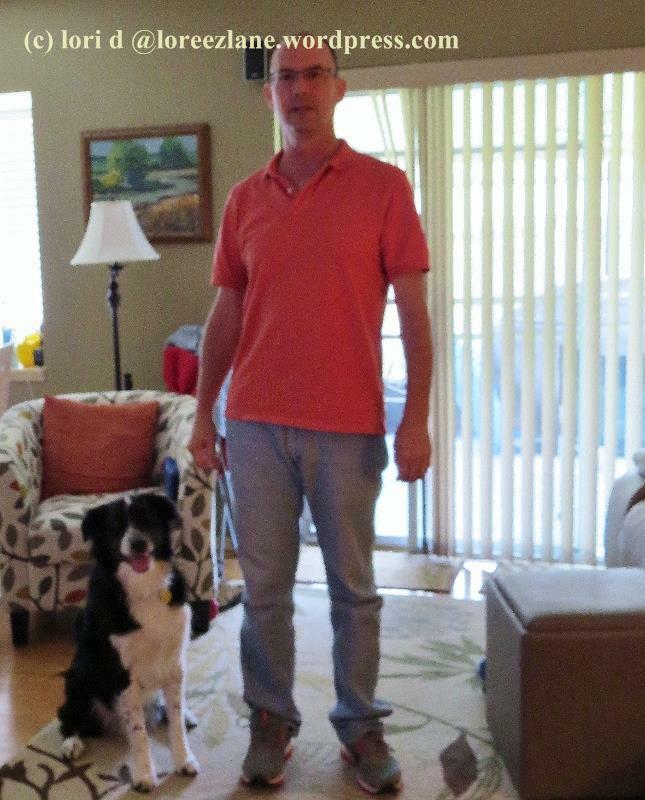 As of today, my husband has been approved to remove the last cast from his foot (air boot) and walk with shoes. Yay! It may be blurry, but it’s still clear that he’s on his feet without a cast, a walker or a crutch. In case you haven’t read me before, I wrote about my husband’s accident the day after it happened back in April. He has also been given permission to start driving, briefly. He has to get used to his “new driving foot,” since it’s been altered a bit. He can drive more and more as he gets used to it. He will also start back to work slowly. In one week he’ll go back for ten hours a week. Per usual, I always share about the human experience and what we’ve learned. I found myself oddly emotional from the news today. I was overjoyed to the point of tears filling my eyes. It’s inspiring to us, and for others to see how far he’s come. We’ve remained positive all along, that he would come through this and get back to normal again. On the other hand, I also found myself sad. Isn’t that crazy? It seemed sort of like a postpartum depression kind of thing. I’ve been so used to taking care of him, I almost feel like I’m going to miss it. You see, my husband is the kind of guy who usually takes care of everyone else. I felt useful … needed. He finally let me take care of him … in full. He actually didn’t have a choice, but it felt good that he needed me. I don’t get a chance to be needed by someone I love very often. He said, this has taught him to accept help from others, and he’ll balance off his giving and receiving a little more from now on. What have I learned? A lot, but in brief, I’m stronger than I realized. I’m glad we used the crisis as an opportunity for personal growth. 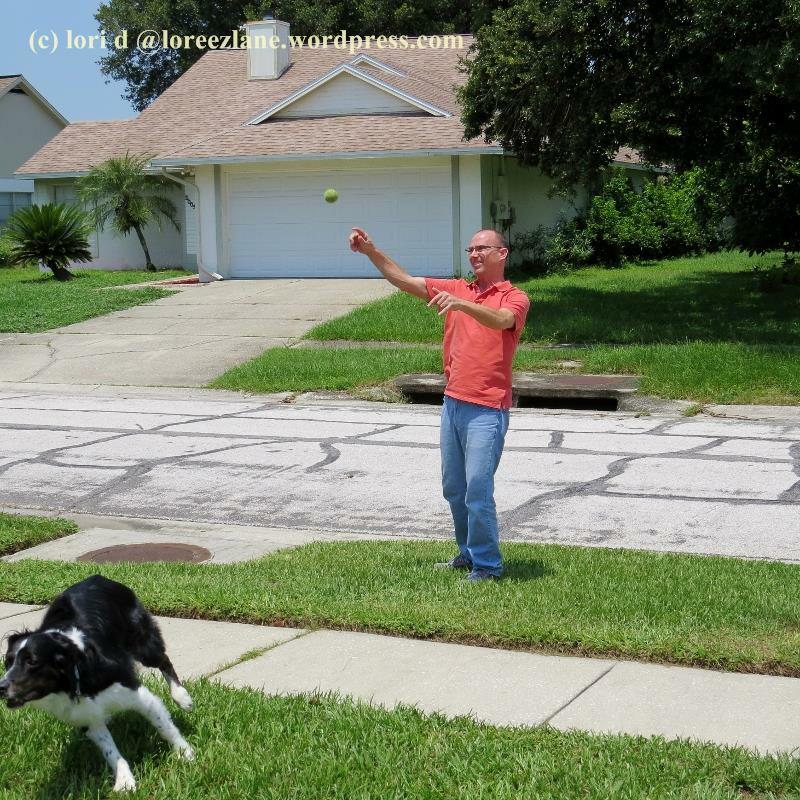 My two boys celebrating the good news with a good, old-fashioned game of fetch. That’s wonderful news, Lori! And coming out of it with new perspectives on sharing the work load and allowing others to help is wonderful, too. I hope the upcoming days bring many more games of fetch! Thanks so much for your support, JM. I am so happy to hear this, Lori! I know it’s been a long journey as your hubby slowly heals from his injuries. I wouldn’t have expected you to feel conflicted when you learned that your caregiving duties would be lessened. But the way you explained it, it makes complete sense. YOU took care of him all this time. YOU made sure he was comfortable and safe. Now he’s easing back into his old routine and it’s not you who will watch over him at all times. It’s a scary prospect. But I’m sure your hubby will quickly show you that he’s stronger and able to manage on his own so you don’t have to worry so much. And I can just imagine how thrilled HE is to be rid of the casts and able to move around freely. He’s hobbling around and in pain, but he’s going through rehab and soon will be fully recovered. Thanks for your support, Terri. I kinda know how you’re feeling, Lori. Barry and I really bonded during his knee replacements for those two years. We did so much traveling to doctors and surgeries. Then one day it was over…back to “normal”, whatever that may be. Wishing you the best as you navigate through new waters–and I am happy for you both! Thank you for acknowledging my oddly sad feelings, Miss Kathy, and for your blog support as we took this journey. Have a great weekend. Great news! So great to see him playing outside with his pal! He’s still hobbling around and hurting from rehab, but we’re on the road to full recovery. His furry pal has kept a good close eye on him all this time. Thanks for your support, Miss Linda. So happy to see Gary able to stand on both feet. What a long way he has come. It’s a surprise to find out we can do more then we think. I am proud of you and Gary for being able to handle all the twists and turns you have gone through. You both come from strong stock. I new you could do it. Thank you, Mom. You’re right, we do come from strong stock. Hugs. He’s still hobbling around in pain and going through rehab, but he’s on his way to a full recovery. Thank you for acknowledging my part in in this and reminding me what to do to fill that gap. Blessings to you Miss, A.
He’s hobbling around, but he’s getting better every day. Hugs. He’s still in rehab and hurting, but improving every day. Thank you for coming along on our journey, Miss M.
He’s still in rehab and hurting, but it’s improving every day. Thank you for your kind support, Miss Jill. Thank you for thinking of me, Andy. It was nice to be remembered, too. Blessings to you. Well, Professor, if you read the blog post it says how it’s going for me. Why? How’s it going for you?